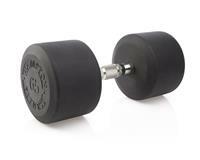 1 pair of each - 55 lb., 60 lb., 65 lb., 70 lb., 75 lb., 80 lb., 85 lb., 90 lb., 95 lb., 100 lb. dumbbells. 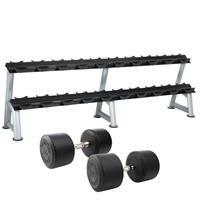 (1) 2T-SDL-10 Rack, LWH: 98" x 22" x 32"
The urethane coated Dura-Pro style dumbbell’s compact design allows you to choose from both our vertical and horizontal racking systems. Our unique 35mm contoured handle features a fine coarse knurling. This design supports the natural arch of the hand and gives the end-user an exceptional experience in every workout. The Dura-Pro style dumbbell delivers comfort, function and durability - the foundation of what club owners and gym members have come to expect. 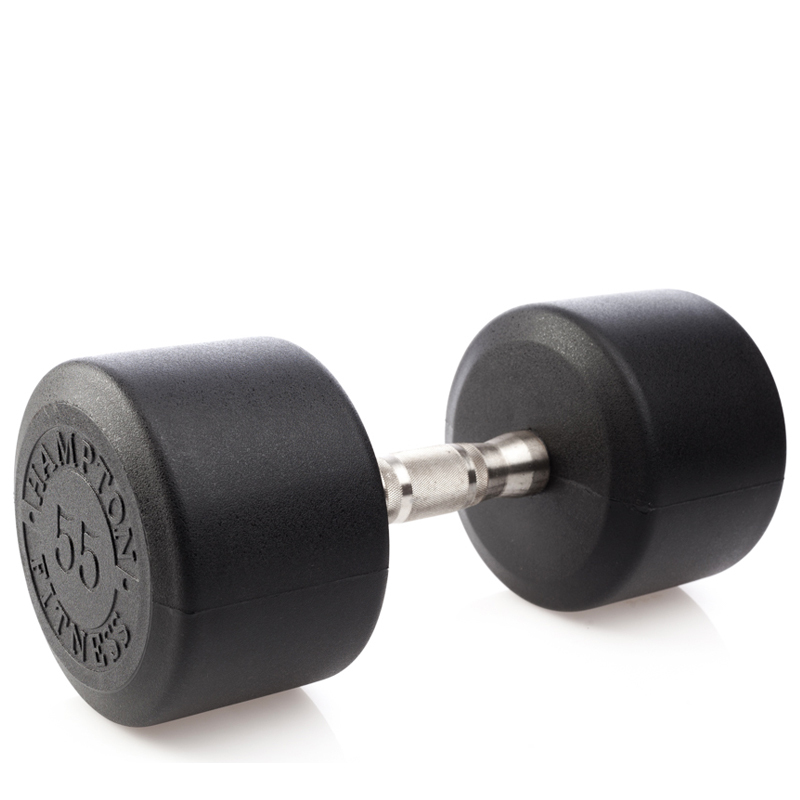 Hampton Fitness Dura-Pro Commercial Club Urethane Dumbbells are extremely durable and attractive - perfect for any commercial or home gym.